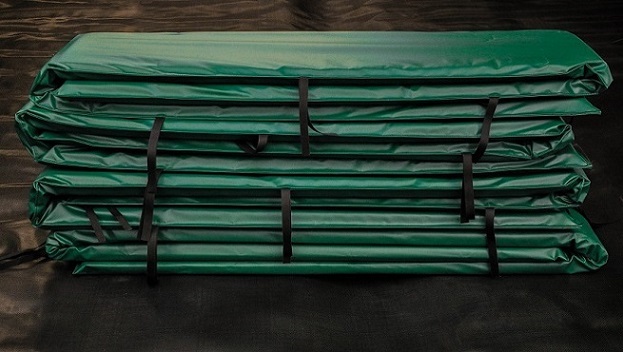 15X9 (14X8) Texas Trampoline Pads are made to fit the Texas Standard Trampoline. These are reversible delux 2" thick, 12" wide pads that cover 100% of the frame and springs. Pads are constructed of closed cell foam and covered on both sides with Heavy 20 oz vinyl. 15X9 (14X8) Texas Standard Trampoline Safety Pads. Pad colors may vary.